Deborah Hope Wayne is a collaborative lawyer and mediator who helps to guide clients through the complex dynamics of divorce, separation and other family law issues. As a New York City divorce attorney, Ms. Wayne is a strong advocate for her clients who want to resolve disputes without going to court. 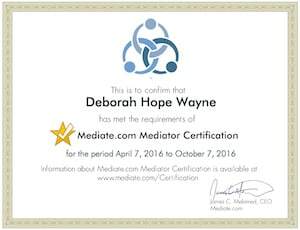 As an accredited mediator, Ms. Wayne is skilled in helping clients negotiate agreement that meet the unique needs of each relationship. She has offices in Westchester County and New York City. Ms. Wayne is the Vice-President of the Board of Directors of the New York State Council on Divorce Mediation. 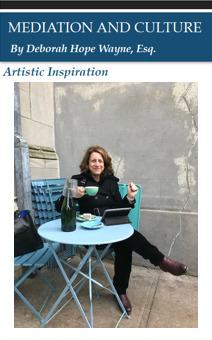 She served on the Board of Directors of the New York Association of Collaborative Professionals (NYACP) from 2008 through 2014 and continues to serve as Co-Chair of the the Peer Support and Development Committee of NYACP. Her dedication to finding better ways to resolve conflict inspired her to co-develop one of the first law school programs on collaborative law in the country. Ms. Wayne is currently an Adjunct Professor of Collaborative Law at Pace University School of Law. Deborah has more than twenty years experience as an attorney and has a background in litigation. 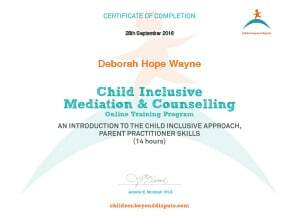 She brings a strong skill set to the table that includes a solid background in negotiation and how it can be used effectively to create solutions that benefit the whole family. Deborah relies heavily on her strong sense of integrity and her inner creativity when working with families. Her practice includes a range of services that help clients to make informed choices. The professional working relationship between Ms. Wayne and her clients is based upon mutual respect and trust: which strengthens the ability of clients to address the fear, anger and stress of family conflict as they choose the next steps in their future. 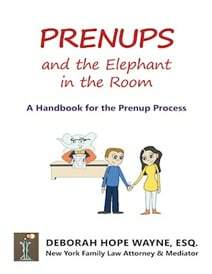 Ms. Wayne believes that in making decisions regarding changes to a relationship, whether it be a pre-nuptial agreement, an interim agreement or a more permanent agreement, clients should choose the kind of process that makes the most sense for them – conventional legal representation, mediation or the collaborative law process. Choosing the right process is extremely important because it can have an effect on how the clients transition to a new life. A strong New York City divorce lawyer makes sure that both parties are heard and that their needs and the needs of their family are addressed while building upon and preserving the existing trust between the parties. A strong advocate will seek to decrease adversarial feelings and encourage good-faith problem solving. Avoiding a war of words and instead working through the fear and pain to find a solution with common understanding. Dedicating full attention to each case with the client setting the pace for progress. Using efficient, proven systems to understand the family’s needs, assets and liabilities so that the best possible options can be developed. Helping each family to reach a practical and sustainable resolution that is individually designed for them. For more information or to schedule a consultation with New York City divorce lawyer Deborah Hope Wayne, please contact her by phone or e-mail. Active Listening in the Collaborative Process The collaborative process offers many benefits to parties that are willing to work together to reach a solution in a non-confrontational environment.